Low temperatures tonight under fresh snow pack will likely fall into the teens in the suburbs and all eyes will then be on the Tidal Basin over the next two mornings to see if temperatures dip at or below that critical 24 degree mark which according to the National Park Service could cause many of our blossoms to not reach peak this season. 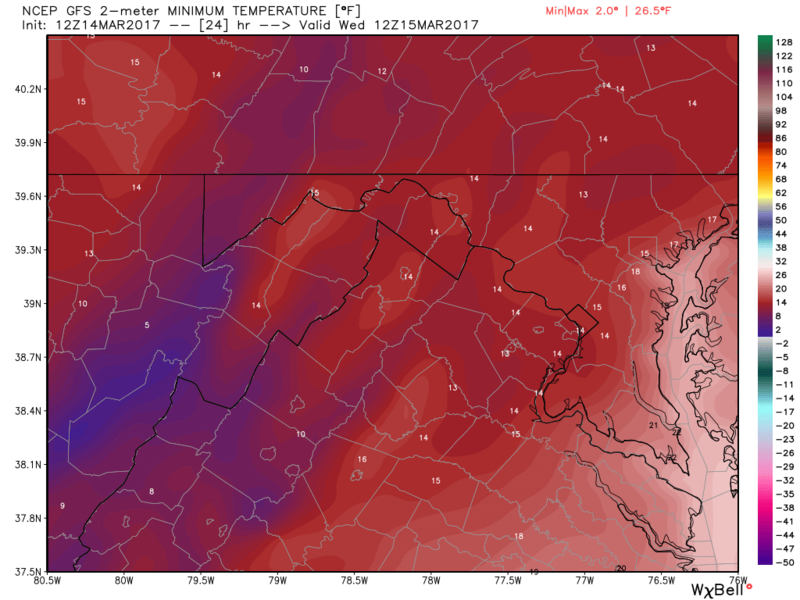 The winds will be gusting tonight, and as a result… I am hoping that enough “mixing” will keep temperatures along the warmer Tidal Basin just above that critical 24 degree mark (long shot) but there’s always hope. What about wind chills for those of us who will be commuting in during the morning… bundle up its going to be brutal! 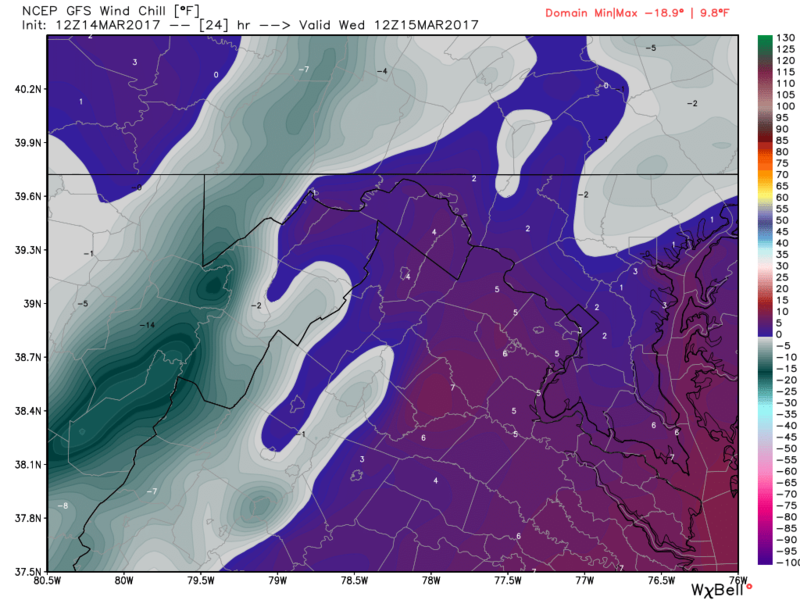 It’s not every March that you have wind chills well below zero (good snow making weather & good for our ski resorts who have had an absolutely pathetic winter season). Thursday morning is even more critical as winds should begin to relax a bit closer to dawn allowing for more of a radiative cooling event (clear skies, nearly calm winds) as high pressure begins to build in across the Mid-Atlantic (it would be good if the winds stay up overnight to keep the temperatures along the basin a tad warmer). 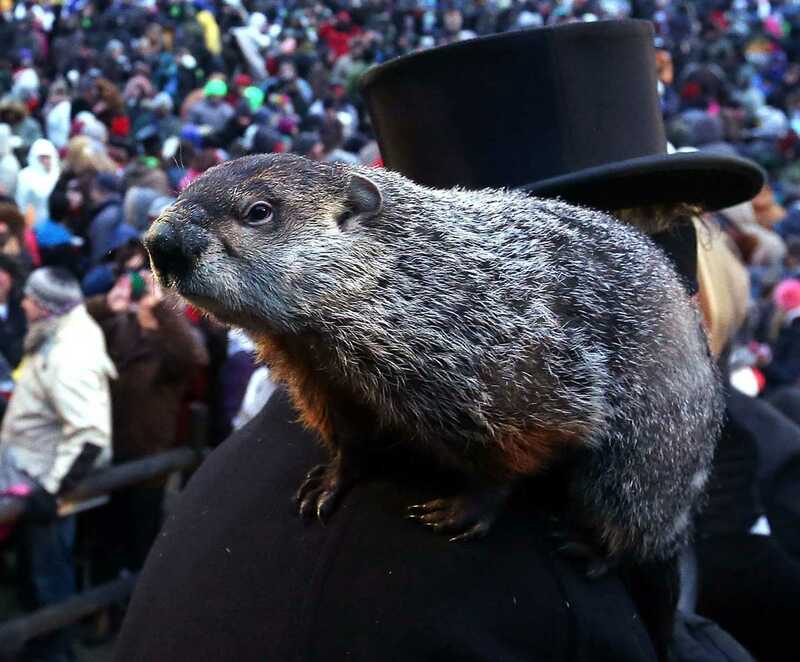 So Mr. Punxsutawney was made a “laughing-stock” by many in the news media on February 2, 2017 when he said to expect 6 more weeks of Winter. This Thursday, March 16th will have been 6 weeks since his prediction. Looks to me like while his timing may have been off, the folks blasting him then have now labeled this bitterly cold spell “The Revenge of Winter”. I’d like to think of it more as the “Revenge of Phil”. So where do we go from here? 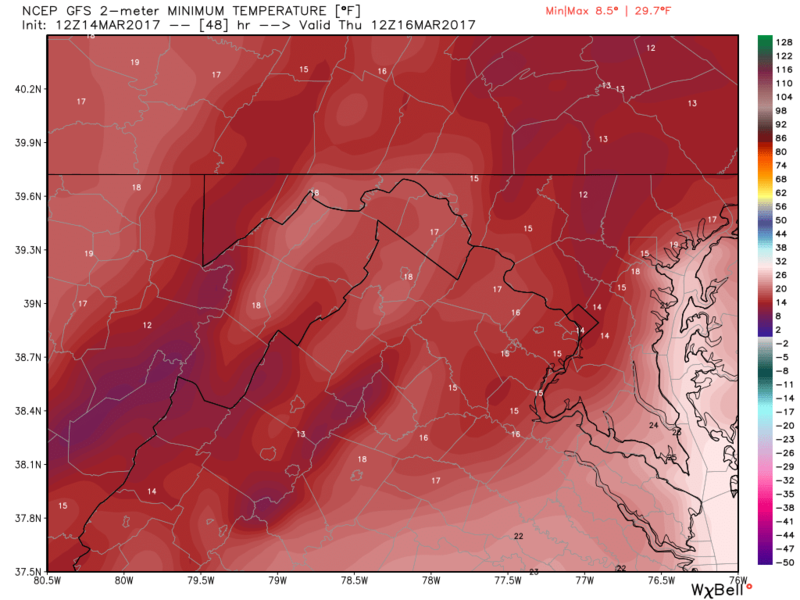 After this latest snow/sleet/ice storm is spring-like warmth around the corner? 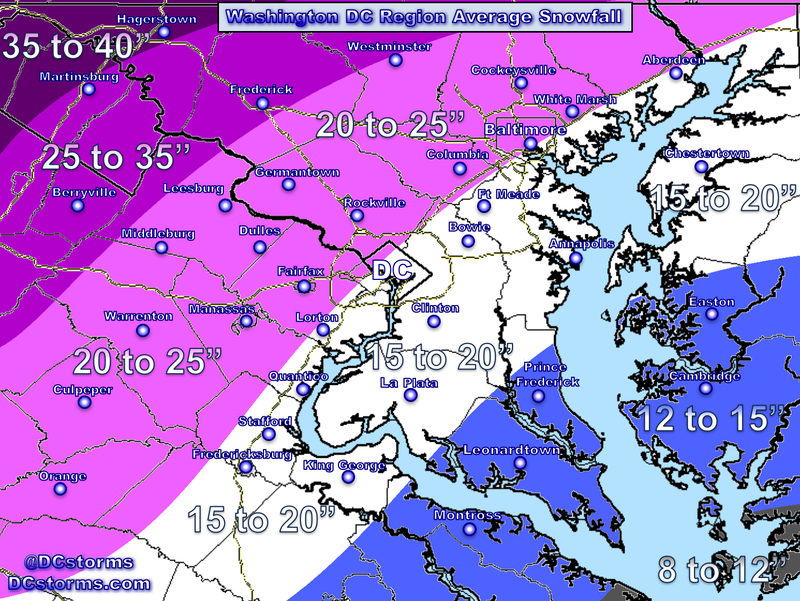 Are we done with late-season snowfalls? I’m not foolish enough to make such ignorant claims because I realize that March is one hell of a fickle month. The Jet Stream begins to weaken a bit and colder air begins to fight warmer air to the south, setting up some wild swings in weather. From today through the 24th we may be in for another period of roller-coaster temperatures but generally if the latest European run (image below) is accurate, our potential low and high temperatures are looking much colder than average (what we would expect in mid-January). 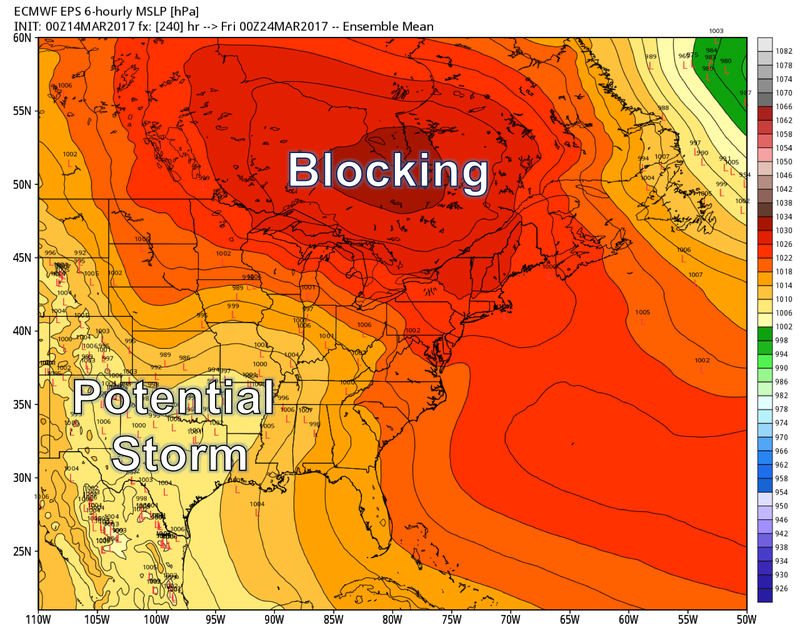 The upper level pattern may once again get interesting as we head into next week. 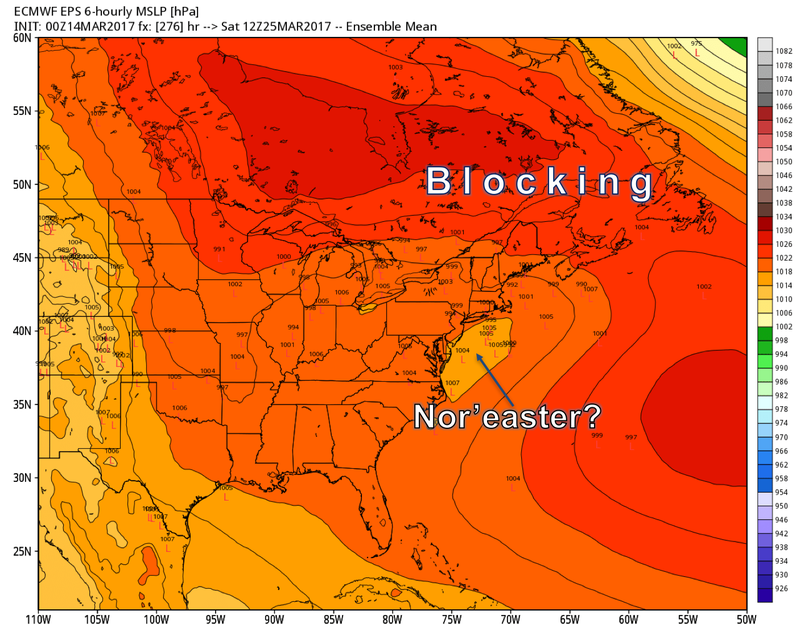 I’ll be watching the 22 through 24th pretty closely as more blocking wants to set up across eastern Canada and the North-Atlantic while a storm system may attempt to attack this ‘blocking’ from the southwest. So there you have it, as I have always said, Winter isn’t over until it’s over. 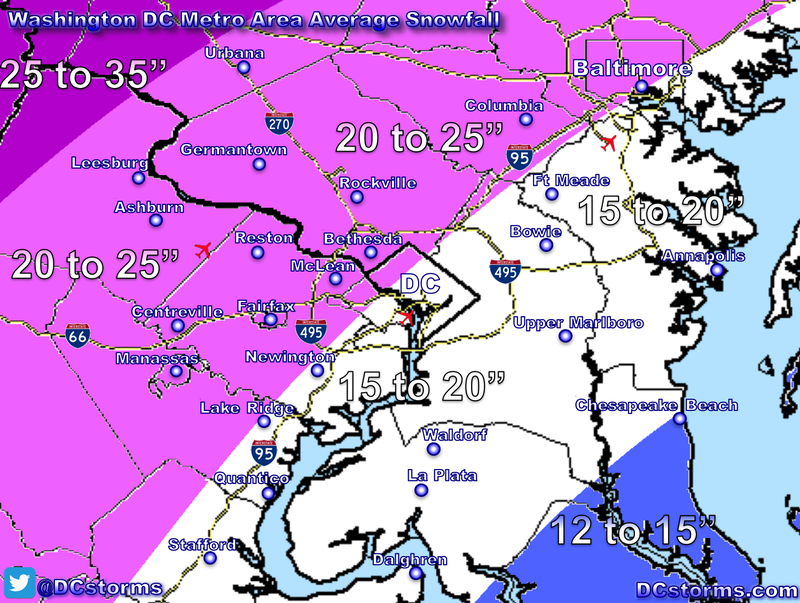 Winter weather can occur even in early April (I remember an easter egg hunt being cancelled the 2nd week of April due to 3″ of snow on the ground in our southern suburbs). For those of you itching to plant… wait. 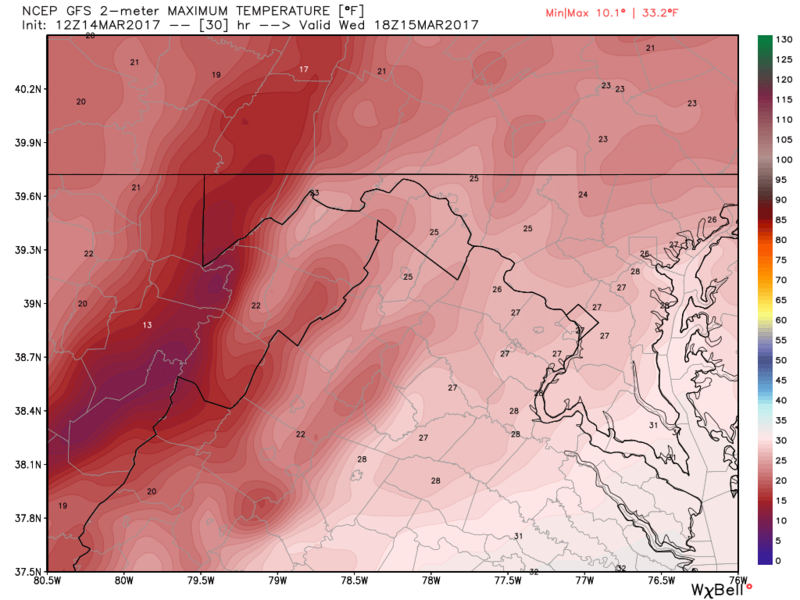 The average last Freeze in the Washington Area isn’t until early to mid April. Stay Warm. 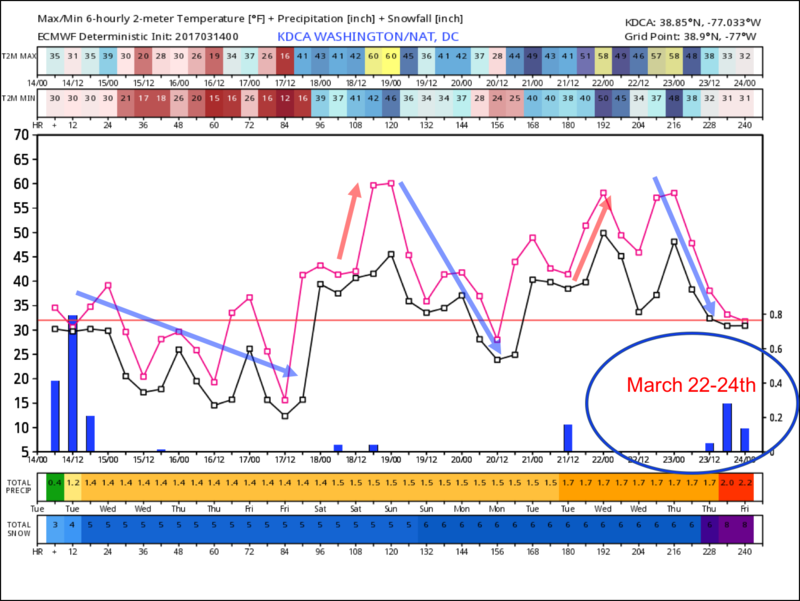 Previous Post Previous post:A Much Warmer than Average March? I love your speculation, even if it doesn’t always pan out. 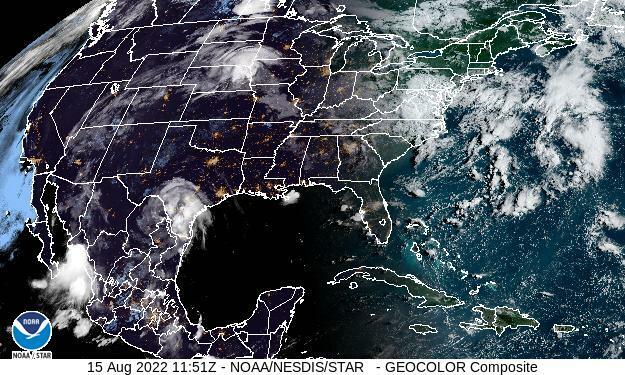 I am very happy that you have not allowed yourself to be inTIMidated by humorless, inconsiderate people who refuse to understand the complexities of meteorology. By the way, I am not a professional meteorologist, but I have taken a lot of guff from my friends as well!